DAY 1 > Arrive at Cape Town International airport : Transfer to hotel for freshen up : Explore the delightful V&A Waterfront for a few hours : Visit fascinating 2 Oceans Aquarium : Dinner at Mama Africa in Long Street for African cuisine and music. 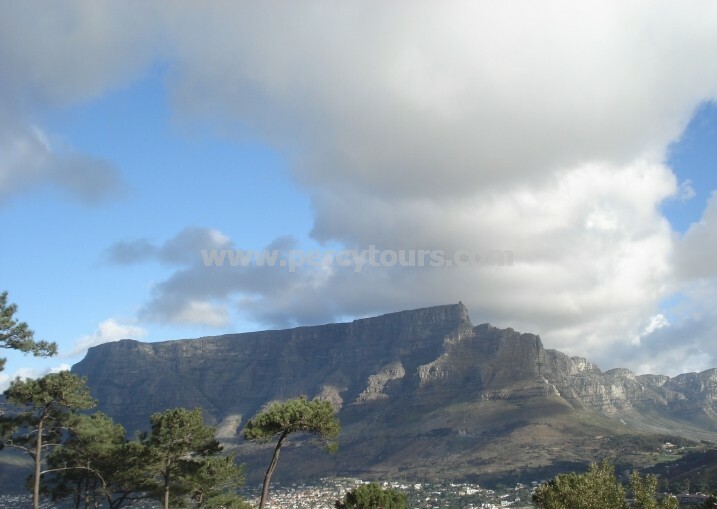 DAY 2 > Early breakfast : Cable car to top of Table Mountain (option to Abseil) : Descend & scenic drive via Boulders Beach penguin colony & Simonstown to Cape Point Nature Reserve & Cape of Good Hope : Return along Atlantic Seaboard (via Chapman’s Peak Drive) : Return to hotel & dinner. 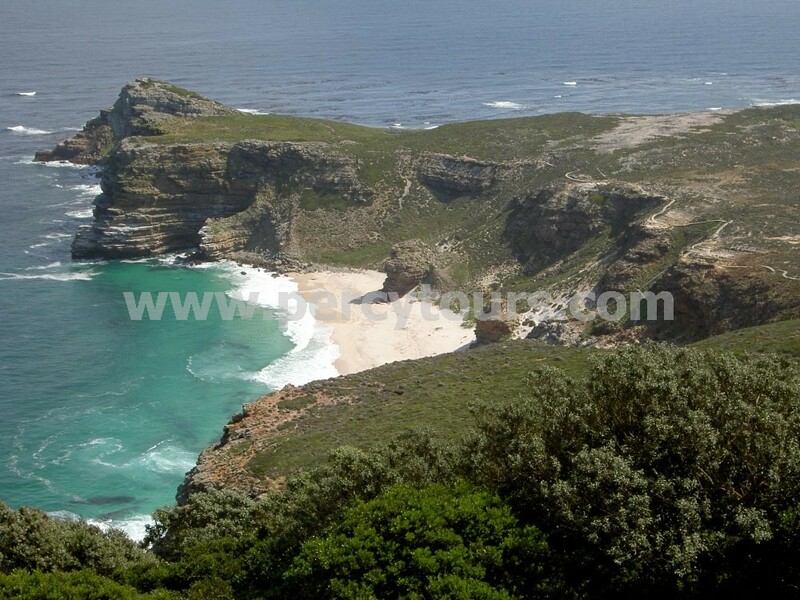 DAY 3 > Drive up the West coast to West Coast National Park (Namaqualand Daisies August-October) : Water sports on Langebaan Lagoon or simply relaxing on the beach : Lunch on the beach : Drive to overnight accommodation & dinner at Hotel. DAY 4 > Paarl wine route visiting the following wine farms : Fairview, Simonsberg, Landskroon, Zandvliet & KWV : Drakensberg Lion Park : Lunch en route : Butterfly World : Return to Cape Town. 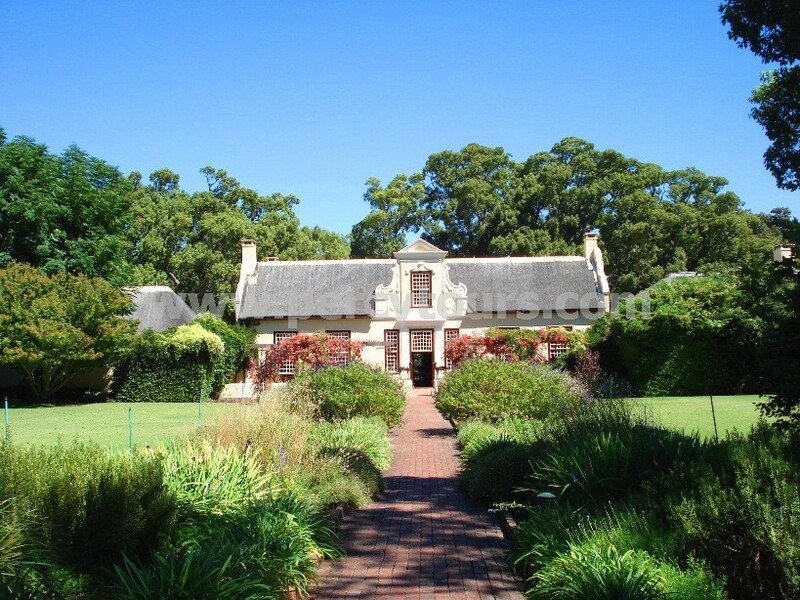 DAY 5 > Breakfast followed by Robben Island Ferry from V&A Waterfront, guided tour of prison & Nelson Mandela’s cell : Groot Constantia wine estate – oldest vineyard in the Cape : Lunch at Buitenverwachting wine estate : CJ Rhodes Memorial : Return to accommodation. DAY 7 > Continue journey east : Thro' Wilderness, arrive Knysna : Explore The Heads, Waterfront & Lagoon, Oyster bar : Check into Hotel : Dinner in Knysna. DAY 8 > Short journey to Plettenberg Bay : Explore and 2 to 3 hours hike at pretty Robberg peninsula : Lunch at Look-Out restaurant : Afternoon river boat cruise trip up Keurboom River and 1000 year old forests : Dinner in town. DAY 9 > Visit The Crags for multitude of attractions - Monkeyland, Birds of Eden, Elephant sanctuary (personal encounters - feeding, touching, riding), African cat park : Drive thro' pretty Natures Valley, walk along beach and arrive at Tsitsikamma Lodge - wooden chalets in the forest. DAY 10 > Bloukrans River for highest bridge Bungee jump in the World : Activities available include - Kayaking, Zip-lining tour thro waterfalls, Wood-Cutter Tour, Black Water Tubing and visit Storms River suspension bridge, walking thro' ancient forests : Chill-out at Lodge : Swimming Pool : Dinner at accommodation. 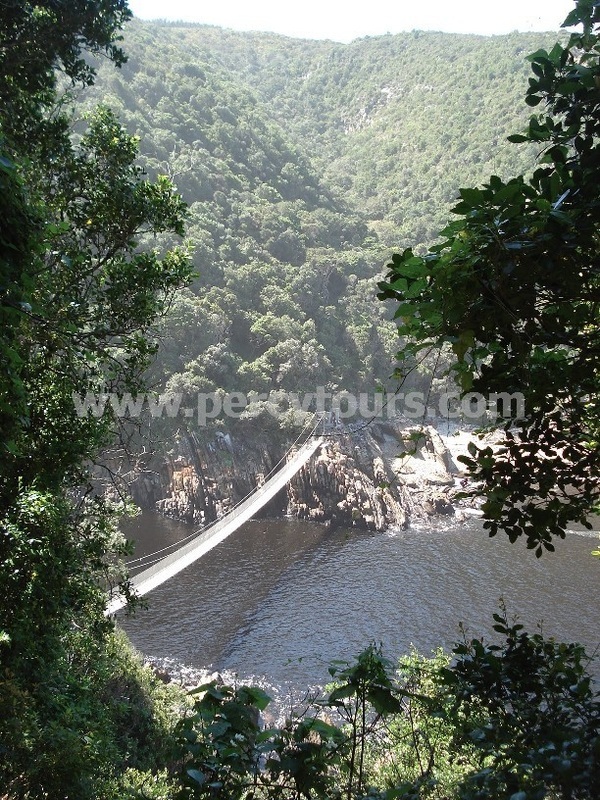 DAY 11 > Depart Tsitsikamma en route for Oudtshoorn via Phantom Pass : Ostrich Farm for rides & guided tour : Chill-out afternoon : Overnight at delighful farm accommodation and dinner. DAY 12 > Early morning Meerkat encounter : Travel from Oudtshoorn to visit Wildlife Park & Cango Caves : to Prince Albert via scenic Swartberg mountain pass : Explore Prince Albert : Arrive at Matjiesfontein for overnight stop in the historic Hotel : Beautiful scenery in the Karoo : Star gazing at night : Dinner at Hotel. 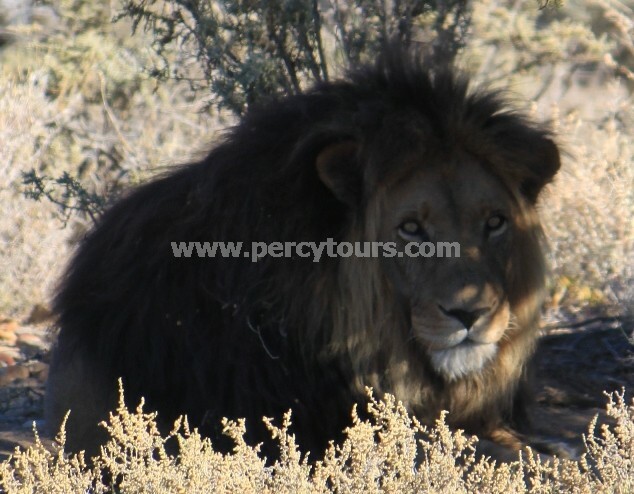 DAY 13 > Depart Matjiesfontein to Safari Park in remote Karoo : Lunch, afternoon Safari game viewing : Dinner at Boma : Over night at Safari Park in lovely chalets. 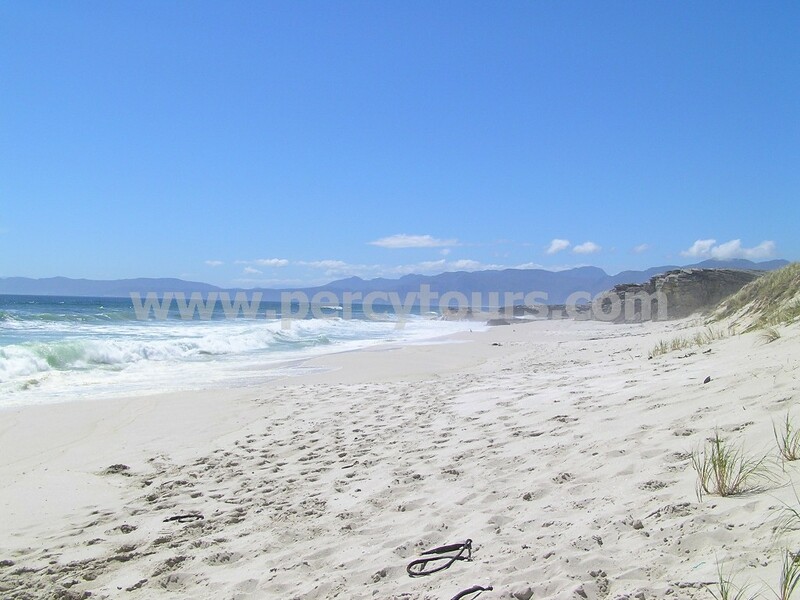 Day 14 > Early morning Safari game drive : Breakfast : Depart and arrive Hermanus mid-afternoon : Whale watching walking tour : Dinner at Seafood restaurant. 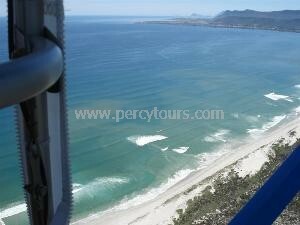 DAY 16 > Hermanus exploration day : Grotto beach : Fernkloof flower garden : Rotary Way top of mountain for spectular views across the bay : Wine Tour of Hemel-en-Aarde Hermanus wine valley : Dinner at The Rock restaurant that over-looks the bay. 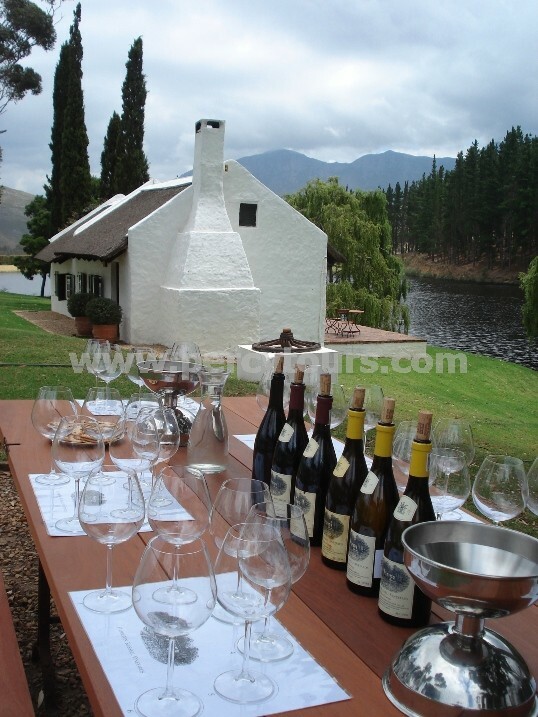 DAY 17 > Tour of working wine farm near Stanford & scenic walks : Optional Cessna Plane flight over the ocean and farmland countryside : Stanford Brewery Tour & Restaurant for Lunch : Caledon Hotel, Casino & Health Spa : Back to Hermanus : Dinner in town. DAY 18 > Many Activities available - Sea Kayaking, Quad biking, Tree-Top zip-lining, Horse Riding on the beach, Township Tour or gentle walk around town centre and Whale Museum : Lunch at La Vierge winery : Coastal drive to Cape Town : Cheetah encounters available : Overnight accommodation in Cape Town. DAY 19 > Explore central Cape Town - Signal Hill, African art market, Gold Museum, Planetarium & Dutch East India Company Gardens, Houses of Parliament, High tea at Mount Nelson Hotel, Castle of Good Hope, ending with Bo-Kaap Muslim district and dinner in Bo-Kaap for traditional Cape Malay meal & return to hotel. DAY 20 > Gentle walk around extremely pretty Kirstenbosch Botanical Gardens for 3 to 5 hours : V&A Waterfront helicopter pad for scenic flight over City bowl : Afternoon free for shopping etc : Dinner at V&A. DAY 21 > Final breakfast : Relax for the day at hotel and/or last minute shopping : Check out of accommodation : Transfer to Cape Town Airport.